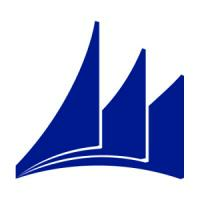 This blog post describes the tasks required for upgrading a Microsoft Dynamics NAV 2009 R2 or Microsoft Dynamics NAV 2009 SP1 database to Microsoft Dynamics NAV 2015. Using the upgrade toolkit and conversions tools that are available, the tasks will lead you through the process of converting the Microsoft Dynamics NAV 2009 R2 or Microsoft Dynamics NAV 2009 SP1 database to Microsoft Dynamics NAV 2013, converting the Microsoft Dynamics NAV 2013 database to Microsoft Dynamics NAV 2015, and finally, converting the old data with the old table and field structure to function together with the table and field structure of Microsoft Dynamics NAV 2015. In order to use the toolkit to upgrade data, you will also need the Microsoft Dynamics NAV 2013 development environment and Microsoft Dynamics NAV 2015. Upgrade To Microsoft Dynamics NAV 2017 - How Many Steps?